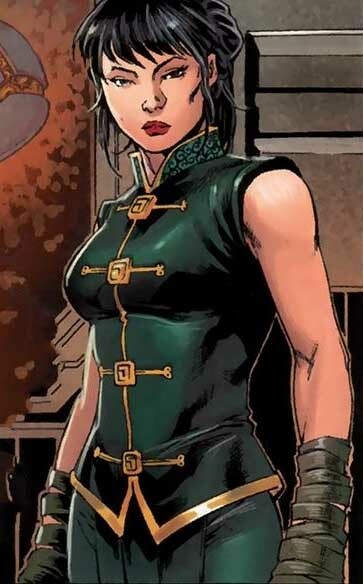 First Appearance: X-Men: Age of Apocalypse #1 (May 2005): "Like Father...Like Daughter"
The daughter of Weapon X (Wolverine) and Mariko Yashida, Kirika first appeared in the Age of Apocalypse alternative history and has apparently not been seen in any other reality. She was a member of the X-Men led by Magneto in the Age of Apocalypse. X-Men: Age of Apocalypse #1 (May 2005): "Like Father...Like Daughter"
X-Men: Age of Apocalypse #2 (May 2005): "Coming Up For Air"
X-Men: Age of Apocalypse #3 (May 2005): "Comebacks"
X-Men: Age of Apocalypse #4 (May 2005): "Betrayal"
X-Men: Age of Apocalypse #5 (May 2005): "Sinister"
X-Men: Age of Apocalypse #5 (May 2005): "Chrysalis"